From the post-9/11 paranoia of the 21st century it is easy to forget the 1980s, an era of unremitting terror in Britain. The programme for Gibraltar, by Alastair Brett and Siân Evans, reels off a list of half-forgotten bombings, SAS ambushes, failed assassinations and brutal public killings, all of which took place from 1987 to 1988. A grim year revolved around the Death on the Rock killings, in which three IRA members were shot dead on the main street of Gibraltar by the British special forces. These basic facts are pretty much all anyone can agree on, but Gibraltar revisits the events to reflect, post-Leveson, on the how the press interprets the truth. Brett, a former legal manager for News International, sees the Gibraltar shootings through a press lens – in particular Thames Television’s Death on the Rock documentary which claimed the SAS had shot the unarmed Mairéad Farrell, Daniel McCann and Sean Savage without warning, as part of a shoot-to-kill policy. This was the most controversial documentary of the Thatcher era: the Government tried to get it banned, and Margaret Thatcher talked of “trial by television”, but a public enquiry largely exonerated its journalists. The idea of re-examining these dark, disputed events is promising, and it is more than time for writers to revisit an era many prefer not to remember. Last year’s film, Shadow Dancer, gave a taste of the human drama concealed behind the headlines. However, Brett’s writing is not strong enough to meet the challenge. His approach differs from the Tricycle Theatre’s rigorous examinations of the most controversial subjects by fictionalising most of the action. We do not know why he renames the Death on the Rock documentary Ambush, and calls the star witness ‘Rosa’ rather than Carmen Proetta, as she was in real life. However, once the lines between fact and fiction are deliberately blurred in discussing such heavily-documented events, it becomes impossible for the play to work as precise political and moral analysis. This means Gibraltar relies entirely on dramatic impact, but unfortunately it falls short. The four main characters – an old lush reporter, a young ingénue reporter, a dodgy geezer and a mysterious Gibraltarian – seem to have escaped from a daytime soap, and give the cast very little to play with. That they are based for the most part on living people makes the characterisations, and the play’s insinuations about their actions and motives, all the more problematic. There is an important, timely drama waiting to be written about the events of 6 March 1988 but unfortunately Gibraltar, despite its ambitions, does not do them justice. Let us hope this is the first of a new generation of plays to look at the events of the Troubles which, taken for normal at the time, seem more astonishing with every year that passes. 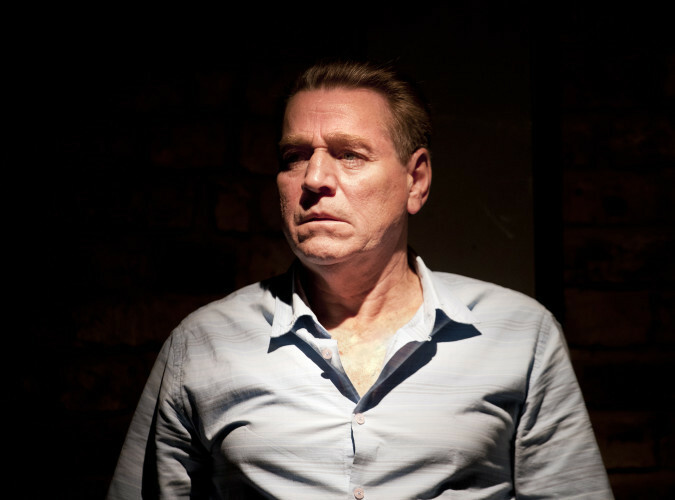 Gibraltar is at the Arcola Theatre, 24 Ashwin Street, E8 until 20 April. Tickets £17-£12. For more information and to book please see the Arcola Theatre website. Production photo by Simon Annan. Londonist saw this show on a press ticket.